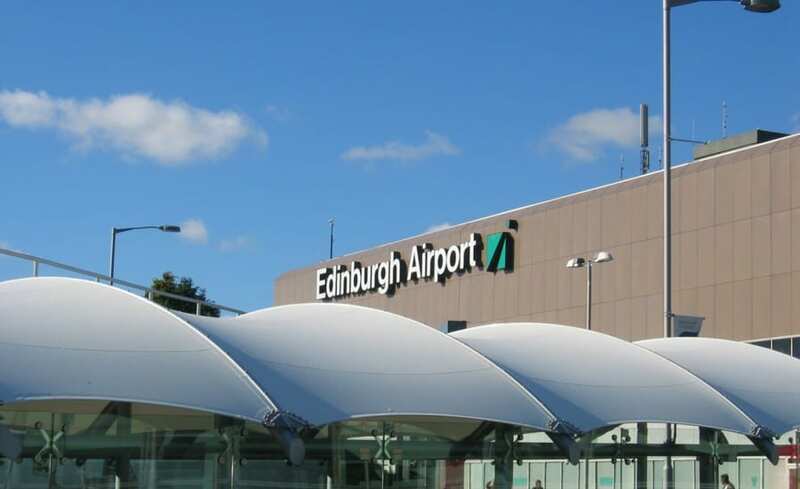 The construction of a new rail link to Edinburgh Airport provided the stimulus for Parr Architects to consider the addition of a walkway canopy. 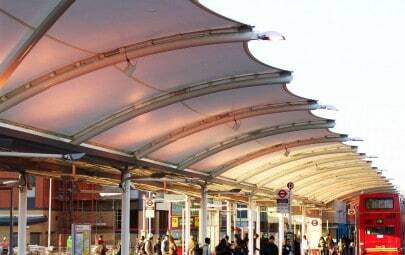 The link formed part of the work incurred by the introduction of the — Rail Act and aimed to promote the use of public transport. 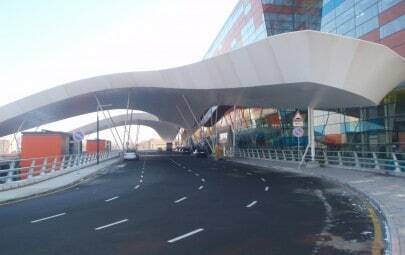 Therefore, a covered walkway between the two terminals was a necessary part of the design. 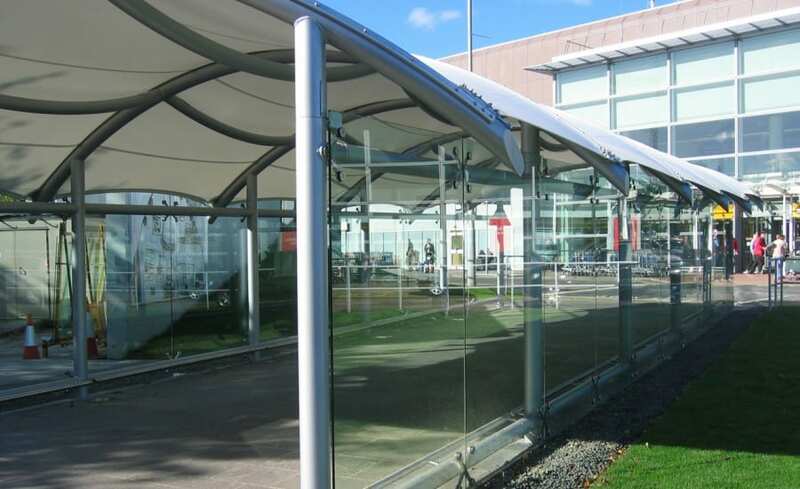 2no PVC glazed walkways (between airport terminal and railway station) and 1 kiosk canopy. 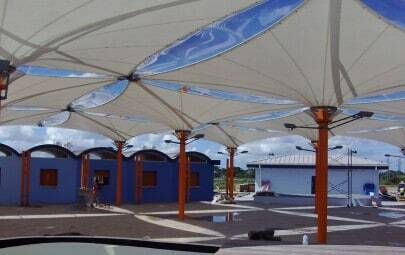 About making an impact. 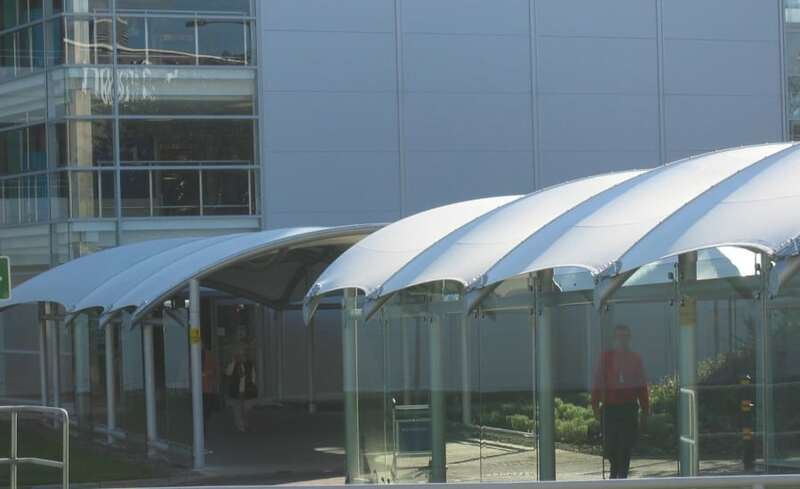 The structures consist of an 8 bay L shaped canopy, which is adjacent to the car park entrance a 5 bay straight canopy and a stand alone kiosk. 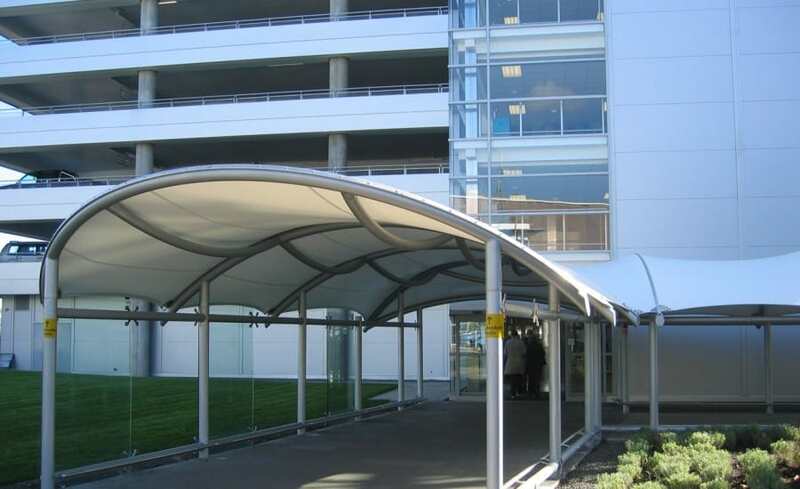 Each canopy comprises a steel structure of vertical columns, horizontal purlins and rolled arches, the latter separating each bay. 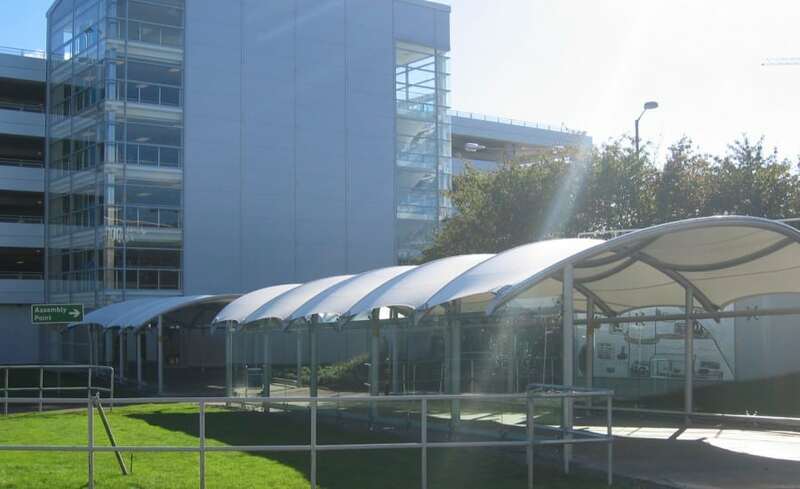 The canopies have glazed sides, which are fixed between the columns and PVC fabric roof panels, which are restrained at the arches within an aluminium extrusion and at their sides by a catenary cable.